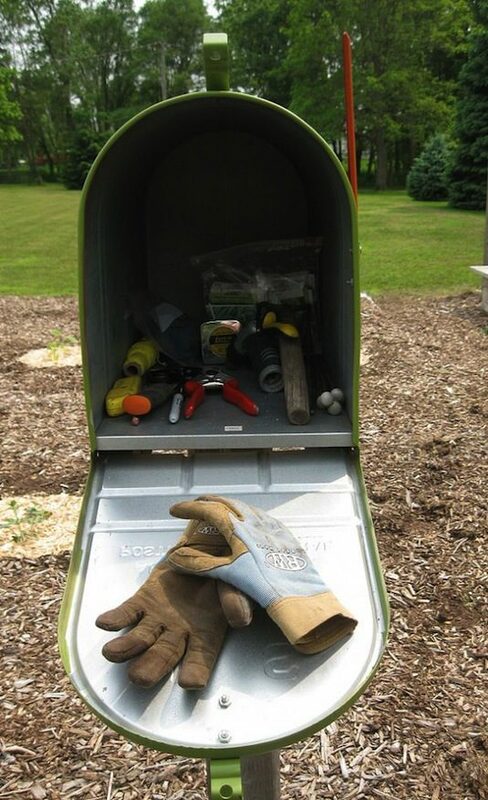 Keep your small garden tools and gloves handy in a mailbox! A vintage mailbox would be charming as part of your garden decor (perhaps even in a corner surrounded with flowers and vines trailing up and over). This will keep your tools dry, clean and at your fingertips. 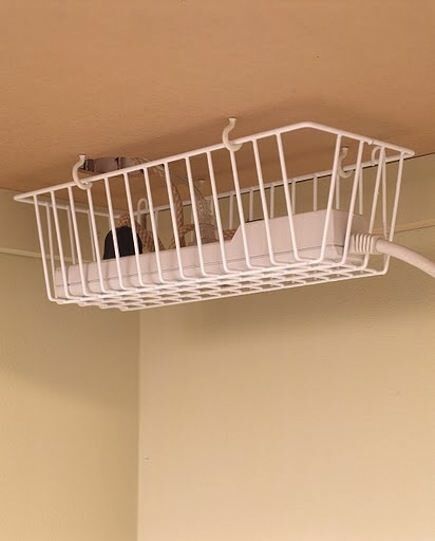 This is a great way to hide them from the husband who likes to use things and not put them back where they belong. 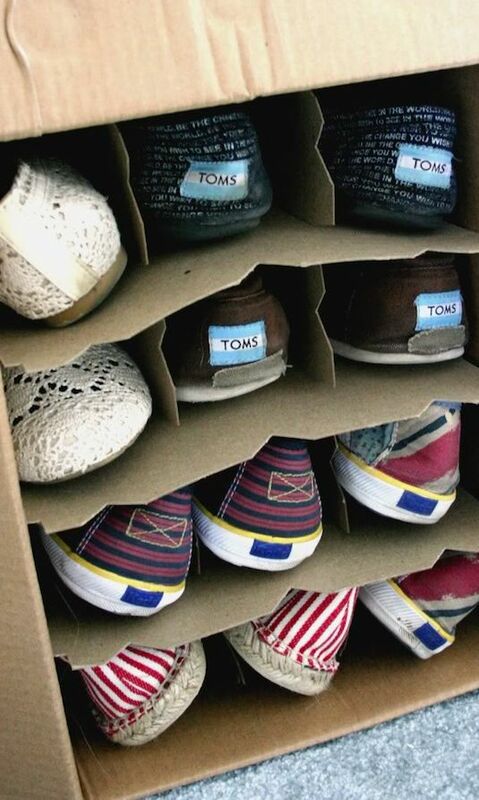 Pick up a few wine case boxes from your local grocery store, restaurant, or bar to store small sandals and shoes. They already have the compartment inserts that make them ideal for long and small items like this. Keep your power strips off the floor and out of view by hanging a wire basket under your desk. This is also a great solution for short cords that don’t reach the top of your desk without an extension, like a phone charger.